Nothing can make me more nervous than driving somewhere and having to worry about my car battery dying! It seems every time I am in a rural place our car seems to break down, or if I am out with just the kids or with mone of my grandmothers it is a given that I will have car trouble. Even though I have road side assistance it is time-consuming and so nerve-wracking to have to wait for a tow truck and have people asking if they can help. I really hate it. I was so happy to be able to review this great Portable Car Jumper, it makes it so easy for me to be able to help myself no matter where I am or who I am with. There is nothing like peace of mind for making things a little easier in life. The powerbank even is a flashlight to use if you break down. 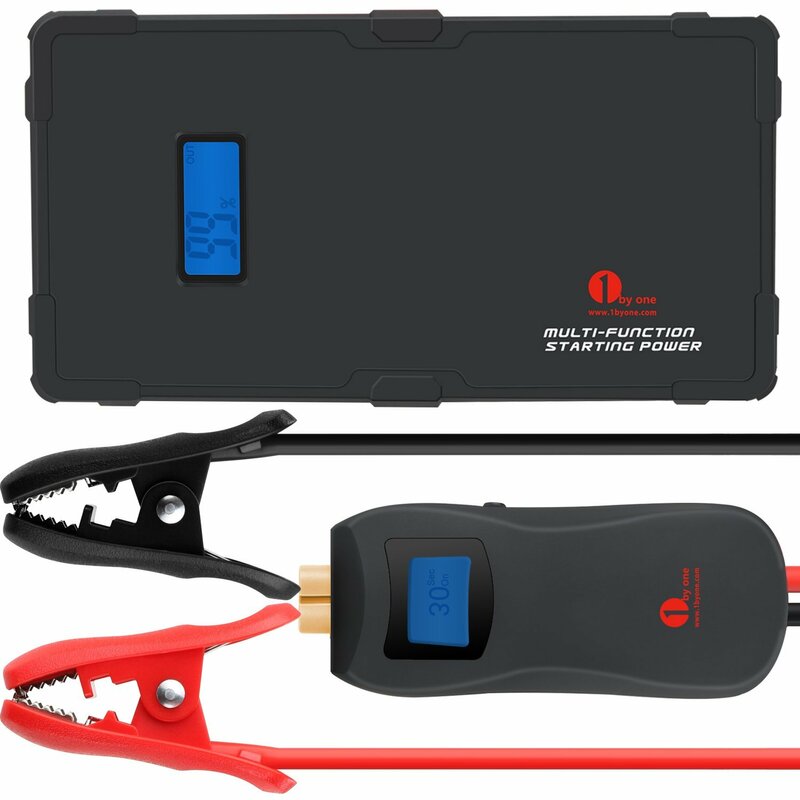 The Multi-Function Smart Portable Car Jump Starter and Powerbank does so many amazing things that I want one for every car that I drive and for all of my family’s cars. It even has a built-in LED that functions as a flashlight and can send out SOS distress signals, and is able to charge mobile phones, MP3 / MP4 players, PDAs, notebooks, car refrigerators and other compatible appliances, a must have for camping. So valuable if you are traveling with a baby or young children. My favorite feature of this tool is the safety. It’s safe to use because you cannot connect it in reverse. If you hook it up wrong, an alarm will sound, reminding you to switch the clamps to the correct polarity. How amazing! Even if you have never jumped a car before you can do it correctly and quickly. It is compact and powerful, two things that you need when you want to carry things in the car or throw in your backpack while camping or hiking. This is one of the best tools I have seen in a long time for keeping safe in your car! You can buy one for yourself or for a gift here at Amazon. Previous post: $20 Amazon Giveaway! The car jumper is a vary handy tool not a bad idea to carry one in the vehicle at all times. Power Bank & Jumper Giveaway - Here We Go Again...Ready?